We are very fortunate in Foxton to have the Robert Monk Hall, donated to the village by a local man. It is not owned by the Parish Council but run by the Robert Monk Trust. 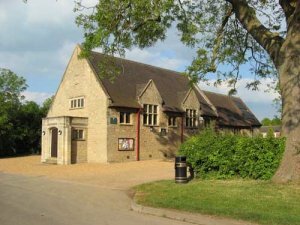 The hall is the venue for local scouting groups, parish council meetings and other local events such as the produce show, harvest supper and the Christmas Fair. It can also be booked for functions such as weddings. If you wish to find out more or make a booking, please see their website. On this website you will also find information about the Foxton Heritage Project. Click on the link entitled History of Foxton.